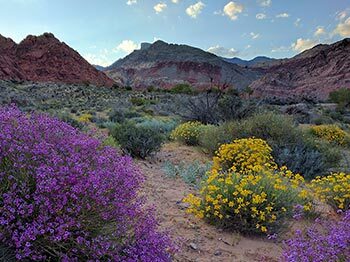 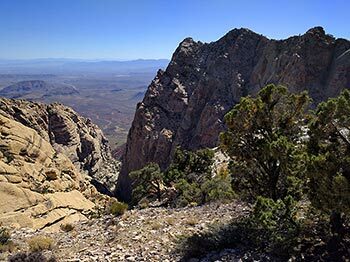 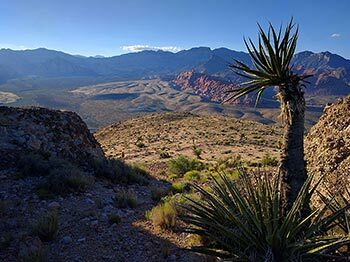 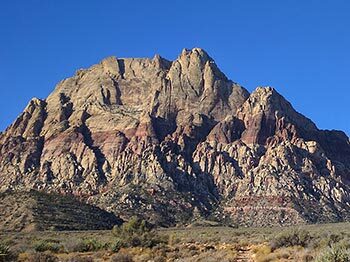 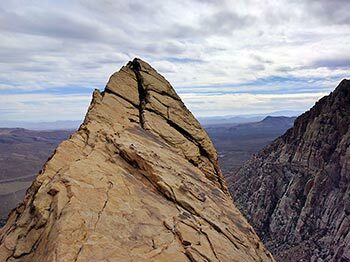 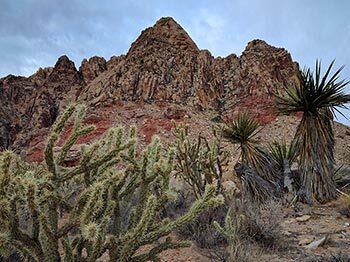 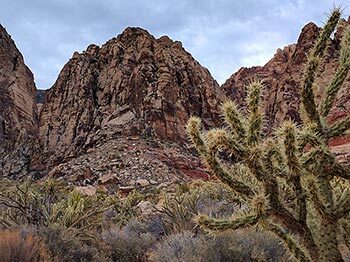 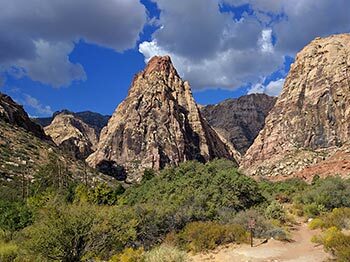 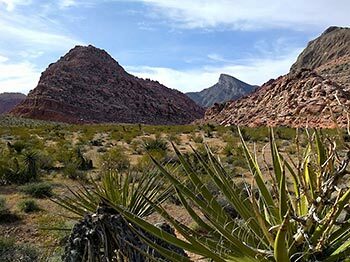 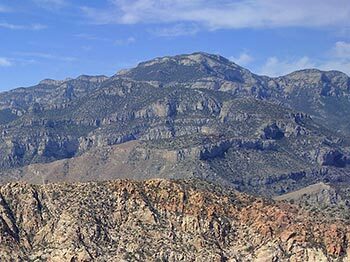 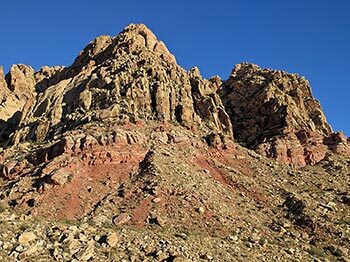 The Red Rock Canyon National Conservation Area in Nevada is an area managed by BLM and located about 15 miles (24 km) west of Las Vegas. 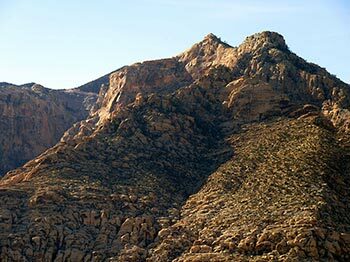 More than two million people visit the area each year. 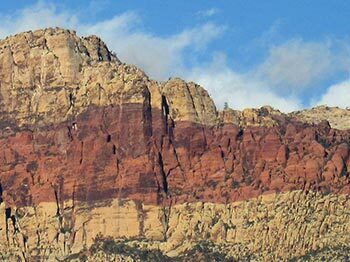 The conservation area showcases a set of large red rock formations: a set of sandstone peaks and walls called the Keystone Thrust. 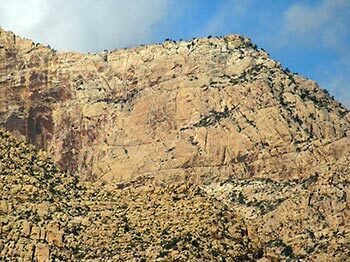 The walls are up to 3,000 feet (910 m) high, making them a popular hiking and rock climbing destination. 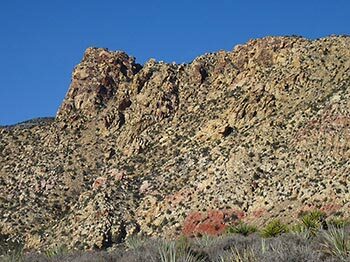 The highest point is La Madre Mountain, at 8,154 feet (2,485 m). 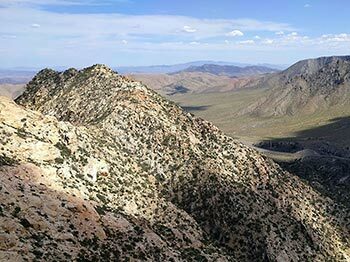 A one-way loop road, 13 miles (21 km) long, provides vehicle access to many of the features in the area. 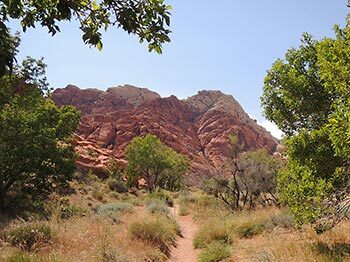 Several side roads and parking areas allow access to many of the area trails. 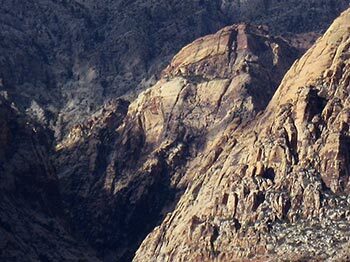 A visitor center is located at the start of the loop road. 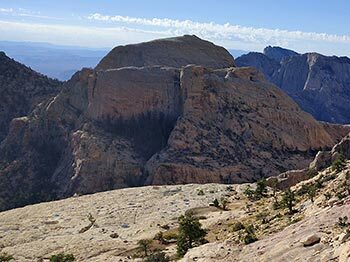 The loop road is also very popular for bicycle touring; it begins with a moderate climb, then is mostly downhill or flat. 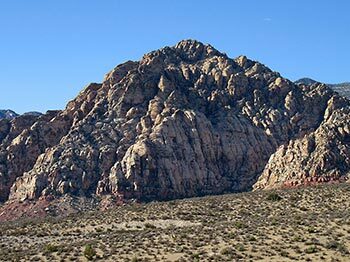 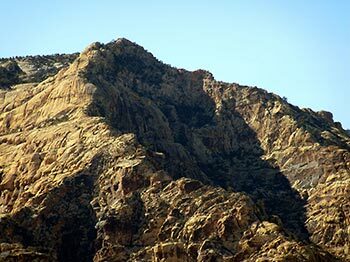 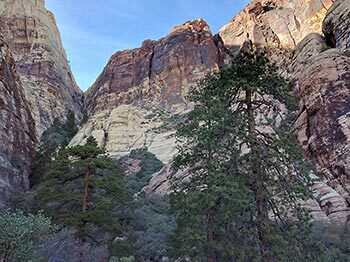 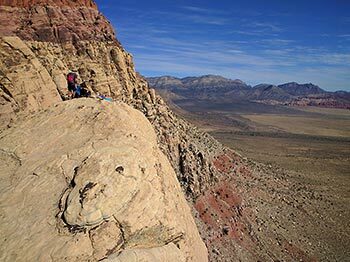 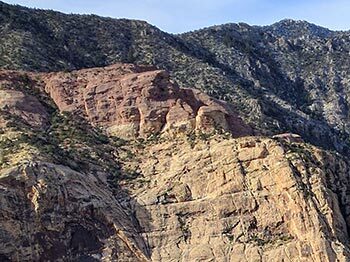 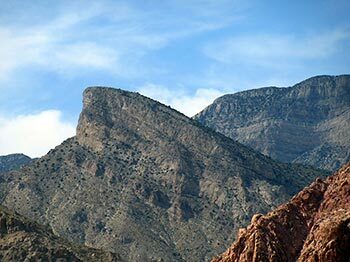 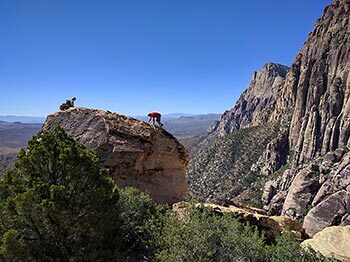 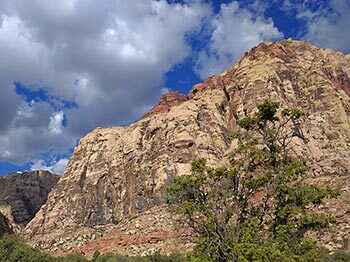 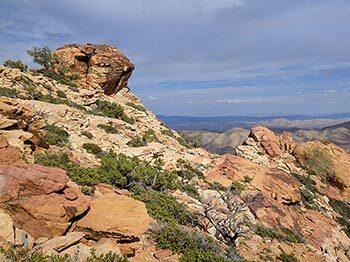 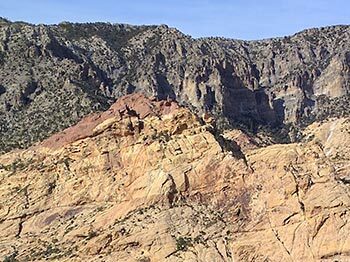 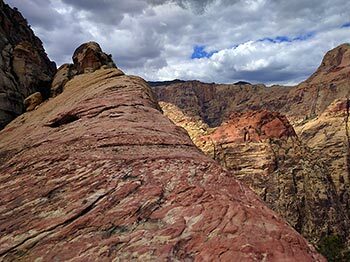 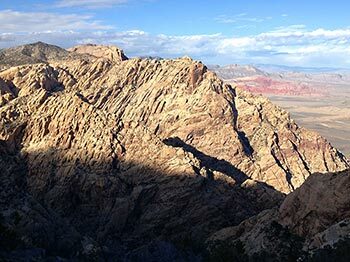 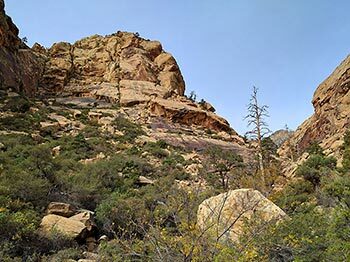 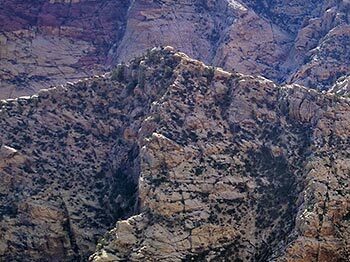 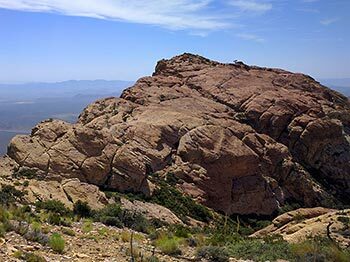 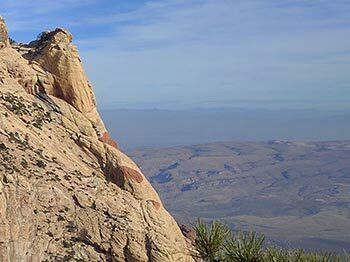 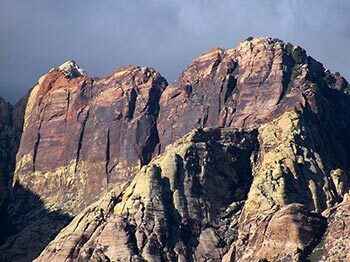 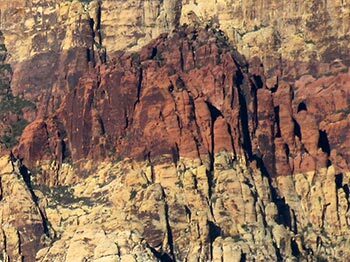 Red Rock provides a wide variety of activities, the most popular being hiking, biking, rock scrambling, and rock climbing. 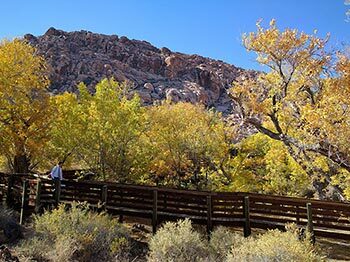 Horseback riding and camping are also allowed on specific trails and in designated areas. 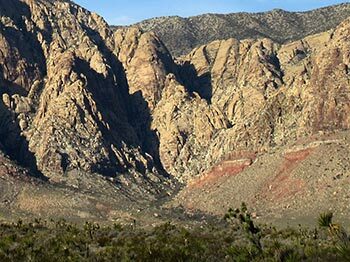 Automobile and motorcycle clubs often conduct group drives through the 13-mile scenic drive. 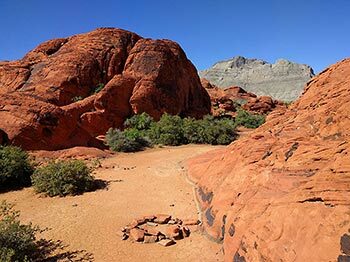 ATV use is not permitted in the area. 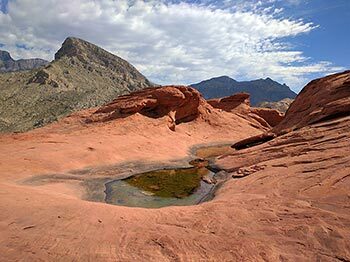 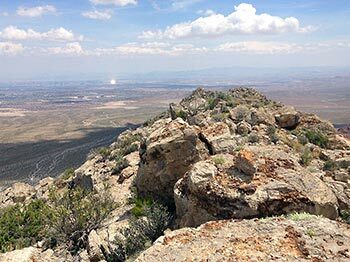 Aside from the obvious dangers from climbing rock faces and cliffs, visitors are informed that temperatures can routinely exceed 105 °F (41 °C) in the summer, so they must bring plenty of water. 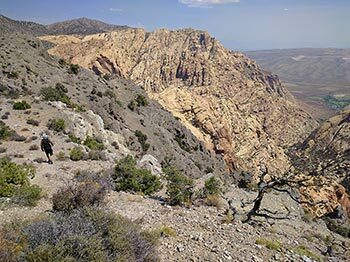 Visitors hiking into the backcountry off established trails are advised against traveling alone, and should inform other people of their plans. 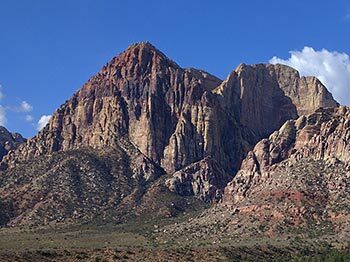 Risks include the presence of venomous rattlesnakes and flash flooding/lightning from thunderstorms.